The political context surrounding slavery in the years leading up to the Dred Scott decision was one of compromise and sectional tensions. With the opening of Western territories, there was heightened debate between the North and South over the issue of slavery. Attempts to resolve the political tension included several compromises and acts. The Missouri Compromise of 1820 allowed Missouri to enter the Union as a slave state, yet it restricted slavery above the 36°30' line and west of Missouri. The Missouri Compromise was later partially invalidated with the Kansas-Nebraska Act of 1854, and territorial legislatures gained the power to determine whether to enter the Union as slave or free through a process of “popular sovereignty,” or letting the people decide. The Kansas-Nebraska Act set the backdrop for the Dred Scott decision. It contributed to the creation of the Republican Party, which was formed in the spring of 1854 explicitly to stop the spread of slavery, and it sparked the “Border War” between Kansas and Missouri, where people came to blows over whether Kansas should enter the Union as a free or slave state. By 1857, when Dred Scott made it to the Supreme Court, the Northern and Southern states already had a tenuous relationship. In 1846, while living in St. Louis, Scott made his legal claim to freedom. For many years Scott was the slave of Dr. John Emerson, an army surgeon who had taken him to live on military bases in the free state of Illinois and in Wisconsin Territory, before ending up in Missouri. Even though Scott and his family were living in a slave state at the time of their petition for freedom, Scott argued that they were entitled to their freedom because of their prior residences in free states. Because Scott waited until 1846 to submit his case, he may not have had the education or support necessary to recognize the opportunity to sue for freedom until he moved to St. Louis. Once there, Scott reconnected with the son of his former master, Peter Blow, who provided him with the financial aid for his Missouri lawsuit and perhaps also encouraged him to sue for his freedom. In naming the case Dred Scott v. Sandford, the court accidentally misspelled John F.A. Sanford's name.After a series of trials in Missouri, where Scott’s petition to freedom was granted, reversed, and finally rejected, Scott took his case to the U.S. Supreme Court. This appeal was more expensive than the Blows could afford, but Scott received additional help from a lawyer, Montgomery Blair, who agreed to take the case for free. Blair was not an abolitionist, but he supported the Republican Party and opposed the spread of slavery into the Western territories or Northern states. In 1857 the U.S. Supreme Court was heavily proslavery and pro-Democratic. Believing that a sweeping decision would ease the sectional tensions, Chief Justice Roger Brooke Taney used the Dred Scott case to attempt to permanently resolve the “slavery problem” in favor for the South. Taney authored the majority opinion of the case, a decision enthusiastically supported (and probably influenced) by President-elect James Buchanan. In his statement Taney made two significant rulings. First, he stated that blacks could never be citizens, even if free, and thus could not sue in federal courts. Second, he determined that Congress lacked the power to prohibit slavery in any federal territories, making significant portions of the Missouri Compromise of 1820 unconstitutional. Read the full original text of the Dred Scott decision.Not surprisingly, the court’s decision enraged abolitionists, Republicans, and others who desired to limit slavery’s expansion in the Western territories or even Northern states. Instead of removing slavery as a major political debate, the decision further exacerbated sectional tensions and became a key issue in the 1858 and 1860 political campaigns. The turmoil surrounding Dred Scott and the violence of “Bleeding Kansas” also contributed to uncertainties about the viability of financial investments in the West, leading to the Panic of 1857. Acting within these political and economic tensions, Republicans united and fought against what they called the “slave power” of the South, eventually leading to the election of the nation’s first Republican president, Abraham Lincoln. Two years prior to Lincoln’s election, he famously stated in his “House Divided” speech that the nation could not endure half slave and half free, and that it would eventually become all of one or all of the other. Lincoln saw the political influence of the South gaining strength, as evidenced by the Kansas-Nebraska Act and the Dred Scott decision, and he urged his fellow Republicans “to meet and overthrow the power of that dynasty.” During his time in office he greatly contributed to reducing slavery’s influence by banning slavery in federal territories in 1862, issuing the Emancipation Proclamation in 1863 to legally invalidate slavery in rebellious states, and of course leading the Northern states in a Civil War to preserve the Union, which ultimately destroyed slavery and the “slave power.” In 1865 the 13th Amendment was passed to permanently abolish slavery, and three years later the 14th Amendment was ratified, giving African Americans citizenship and effectively ending Dred Scott’s legal precedence. 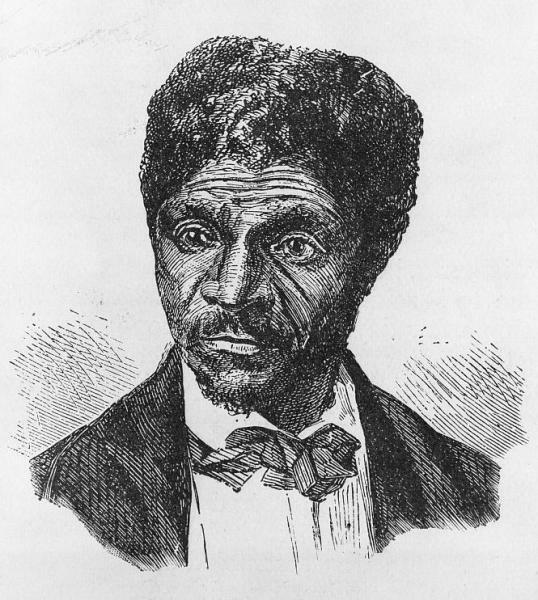 Dred Scott died from tuberculosis on September 17, 1858, not living to see the end of slavery and the invalidation of his Supreme Court case. But soon after the decision, it became public knowledge that his current owner, Irene Emerson, was also the wife of an abolitionist congressman from Massachusetts, Dr. Calvin C. Chaffee. Chaffee, who claimed to have no knowledge of owning Scott, transferred ownership of Scott, his wife Harriet Scott, and their two daughters to the Blows, and they freed him on May 26, 1857. Scott lived just over a year of his life in freedom. Since then, Dred Scott v. Sandford has become infamous as one of the most reviled legal decisions made by the U.S. Supreme Court, but the ruling cannot be untangled from the prevailing political, economic, and social atmosphere of the United States in the late-1850s. While Dred Scott did not directly cause the Civil War, the case cannot be discounted as a major tailwind on the path toward war. This article was modified on October 20, 2015, to add more information about the manumission of Dred Scott.